Chandigarh is India’s first planned city, quite distinct from the rest of the country and considerably better organized. It is the capital of both Haryana and Punjab, but the city itself is not part of either state, being a union territory, i.e. administered directly by the central government. The Secretariat: The Secretariat is the largest building in the Capitol Complex and is the headquarters of both the Punjab and Haryana governments. It is one of the Capitol buildings and houses all the ministries. The Secretariat and Vidhan Sabha (Legislative Assembly) buildings are in Sector 1. Zakir Hussain Rose Garden: Zakir Gulab Baag is Asia’s largest Rose garden, spread out over 30 acres of land, in sector 16. Established in 1967, today around 50,000 Rose trees of 1600 different species bloom here. Apart from roses, the other trees planted have medicinal value and some unique specimen trees were planted to enhance the beauty of the garden. The garden is located next to the city centre. 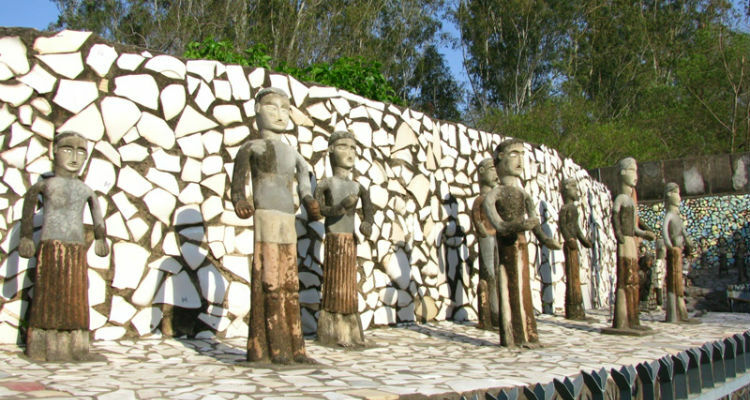 Rock Garden: The Rock Garden of Chandigarh has been created by putting together the fossils of ancient life forms found in the Shivalik hills and by recycled waste material. Its creator, Nek Chand, was an inspector in the engineering department. Rock fossils have been arranged into an open air sculpture exhibition. Some of the sculptures include a wall made out of discarded fluorescent tubes, an army of clay monkeys and broken chinaware soldiers and shapes of women made out of discarded glass bangles. The garden covers an area of 6 acres. Sukhna Lake: Another tourist attraction in Chandigarh is the Sukhna Lake spread over an area of 3 sq. km in sector 6. The waters of a seasonal rivulet that ran through the city were impounded to create the Sukhna Lake. Migratory birds arrive here from Siberia during the winter. A love for the lake draws many volunteers to desilt it just before the monsoon rains set in. While the lake promenade is a place for peace and tranquillity, the area just at the entrance has been developed for children to enjoy themselves. Govt. Museum & Art Gallery & Punjab University Complex: Located in sector 14, the parks and pools around the university building have enhanced the feel of the whole area. The Punjab University was founded in 1882 at Lahore. After partition and initial dislocation, the University shifted to Chandigarh in 1956. It is as famous for it’s landscaping as for its architectural. Leisure Valley: During the monsoon, there runs a natural storm-water channel through the middle of the city, locally called a nullah. The nullah, along with the adjoining land has been converted into what is called the leisure valley. Starting from the foot of the hills to the west of the Capitol Complex, the leisure valley extends into sector 3 and crosses over into sector 10. The leisure valley is spread over 6 km and in accordance with the plan no vehicular traffic interrupts a pedestrian taking a walk in the park. Pinjore Gardens: (25 km) – Located a short distance from Chandigarh, on the Pinjore-Kalka road is the Pinjore Yadvindra Gardens. This is a traditional Mogul style garden, created in the 17th century by Nawab Fidal Khan, architect to the Mogul emperor Aurangzeb. These gardens were developed along a slope with a central channel of water in which fountains were placed at regular intervals. On either side of the channel are spacious walkways with shady trees and a carpet of green grass. Pinjore Garden is a favorite picnic spot for the citizens of Chandigarh. 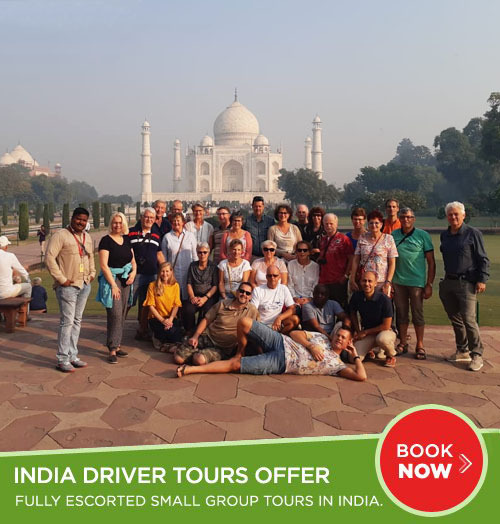 It is open on all days and accommodation is available at Rang Mahal and Sheesh Mahal.